Over the years here on Sparkle Me Pink I have shared many personal stories. Today I am here to tell you all about how I might have Cancer. I want to start off by saying that I am not a medical professional. I am not writing this to give medical advice. I am sharing my health story friend to friend style to raise awareness of this condition. Please see your doctor for proper care and medical attention. That being said, I will get right to it. I have been told, by my doctor that I may have Thyroid Cancer. Now, don't freak out ! It's going to be ok. I will explain everything. I am going to go over my symptoms, care, procedures and general well being. Parathyroid glands, according to my doctor, control your bodies calcium levels. They try to leave as many in as possible when removing the main thyroid gland. It all began after I had my daughter early 2011. I pretty much just ignored all of the symptoms and blamed it on having a newborn. I mean who doesn't feel a bit cruddy after having a baby? It wasn't until about a year and a half later that I started paying attention to the signs. Which were things like. The waking up feeling extremely exhausted. My hair was thinning and falling out a lot at an alarming rate. My skin was incurable dry and dull. My nails brittle, broken and peeled easily. Then there was/is the stomach issues. Oh the stomach issues. The intense lower abdominal cramps from constipation. Or the fact that the baby weight wasn't coming off the way it had after having my son a few years before. But the worst was that I could feel the postpartum depression lingering longer this time too. I also deal with constant all over muscle aches. Not cramps but soreness as if I had worked out a ton but I hadn't. Some random symptoms I feel are related to my thyroid flare ups but unconfirmed : when my tongue swells up and shows all the indents of my teeth, loss of smell and over production of ear wax. Very random but symptoms I deal with non the less. I finally gave in and went to see my general practitioner. She asked all the normal questions. Nothing seemed to wave any red flags until she got to feeling my neck. She stopped for a moment over the base, palpating the area. She said she felt a small bump on my thyroid. The physician told me not to worry, handed me an order for an ultrasound with biopsy and urged me to follow up with an Endocrinologist. "Here it is ! The perfect round thing is my artery, the larger mass to the right of it is the nodule." Because my first biopsy was ordered by the general practitioner I had to go to an actual hospital to have it done. There they did an uncommon biopsy for the thyroid called a core biopsy. Which is a slightly larger, hollow needle used to withdraw small cylinders (or cores) of tissue from the abnormal area. It hurt and I wished I hadn't gone alone to this appointment. Driving home in pain sucked. To jump forward a bit I have had about 5 other biopsies done since then and those were not in hospitals and were the more traditional method, Fine-needle aspiration biopsy. At that time the closest endo that accepted my insurance was over an hour away. Inconvenient but I wanted answers. Along with my biopsy results in hand and his own examination and ultrasound he confirmed that I do have one large nodule and several small nodules on my right half of my thyroid. 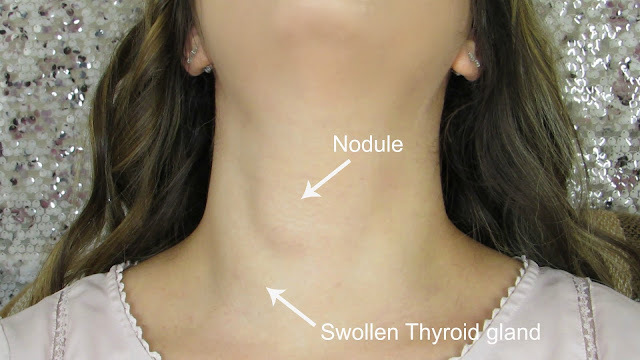 He told me thyroid nodules are very common. The concern surrounding them is whether or not the nodule is a cancer. 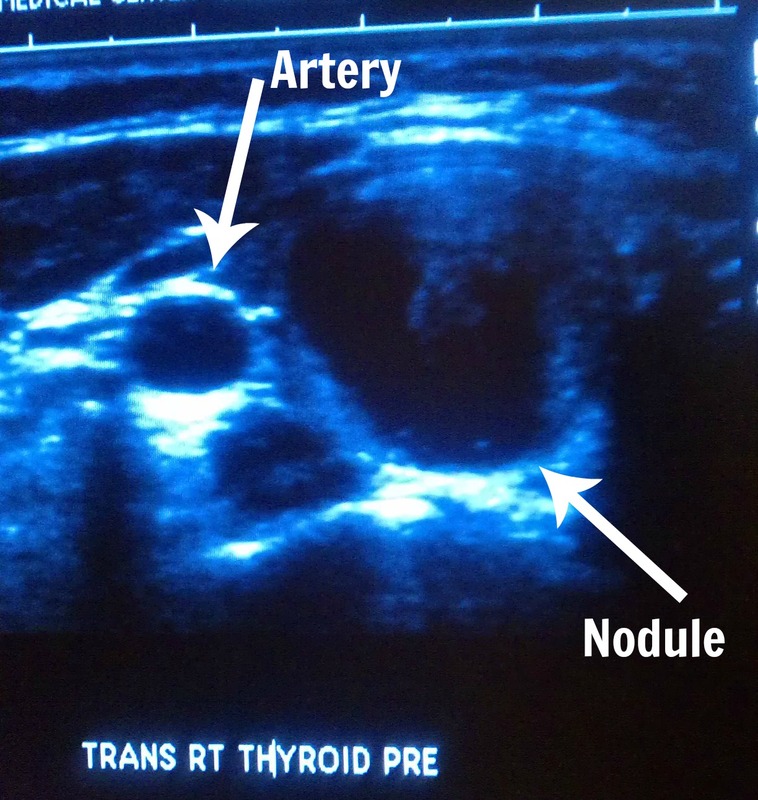 He told me the nodule may possibly causing my thyroid to be under active and classified me as having hypothyroidism. He did a bunch of blood work, ultrasounds, more biopsies on the largest nodule and put me on and changed my level of Levothyroxine more times than I could count over the next year and a half that I saw him. Which was just about every other month if not every month sometimes. My little helper at one of my many Dr appointments. Helping me take notes. After a while I started to feel slightly better but never any major life changing results. I do remember him telling me my Iron and Vitamin D were both extremely low. 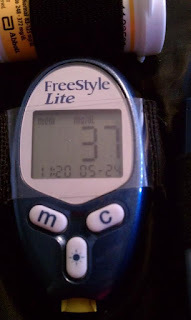 I also showed signs of being pre-diabetic and started me on Metformin. When I checked my sugar and it was dangerously low. 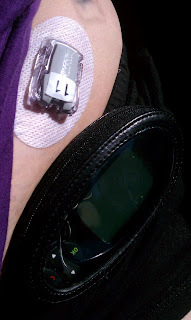 After a few months of that not working he inserted a continuous glucose monitor device to chart my sugar over the course of a week After those results he put me on Januvia. Why am I mentioning this? Apparently it all has to do my my thyroid hating me and being under active. This doctor advised me to have the nodule removed if I felt it was impeding my swallowing, talking or quality of life. At that time it was more annoying driving out to see this doctor than the nodule was to me. I did feel it there though. If I lay on my left side I would have a harder time breathing and swallowing so I just avoided doing so and slept on my right side. Sure people saw it but only if they were really looking or I had pointed it out. About a year after then I lost my insurance coverage and was unable to keep up with the cost of the dr.'s and my meds. I stopped taking everything cold turkey. What I mean by everything this includes pre-diabetes meds he had me on, thyroid regulators and a variety of anxiety and depression pill - that alone is a story of its own. I gain a bunch of weight almost instantly which made me feel even more unlike myself in my own body. See this video here? This was about when the weight had really packed on due to my body going through so many hormonal shifts. Sure I started working out a ton short after this and lost about 20lbs. Then I think it was that summer that I did the Nutrisystem challenge I vlogged about that weekly on my channel. I lost about 15lb more from that point. But I was still dealing with all of the hypothyroid symptoms. 2015 was a difficult year for me emotional and with my health. This is the year I was going through the finalization of the divorce and I still didn't have medical coverage. This is also the year I broke my foot, again a story for another day. Fast forward to 2016. I was able to get myself some medical coverage and went for all of the regular medical check ups. I went in to see a new Endocrinologist in April. She ordered some blood work and a biopsy but I had to go to two different laboratory facilities for each service. Which made it difficult. My last Dr ( the one that was over an hour away) did all of this in his office. I wasn't able to do either that right away. I ended up getting the blood work done in May right after we moved into our new house. But then the Dr wouldn't tell me results over the phone. However, by that point I had just had my foot surgery and was unable to drive. In August I was finally able to drive short distance and I took myself to get the biopsy done, finally. I actually SnapChated some of it which was kind of fun to interact with you all about. I remember this day very clearly because it was my first day at my new job too. On August 22nd I got a phone call from the Endocrinology Doctor. During the call she explained that the biopsy results had come in and she wanted me to go into the office to go over them as soon as possible. But I had just started this new job. I couldn't just leave. I tried to schedule something out for the next week and she told me I needed to go in either that same day or the next. My heart raced a bit when she said this but again I was still waiting to hear the results from my blood test in May. 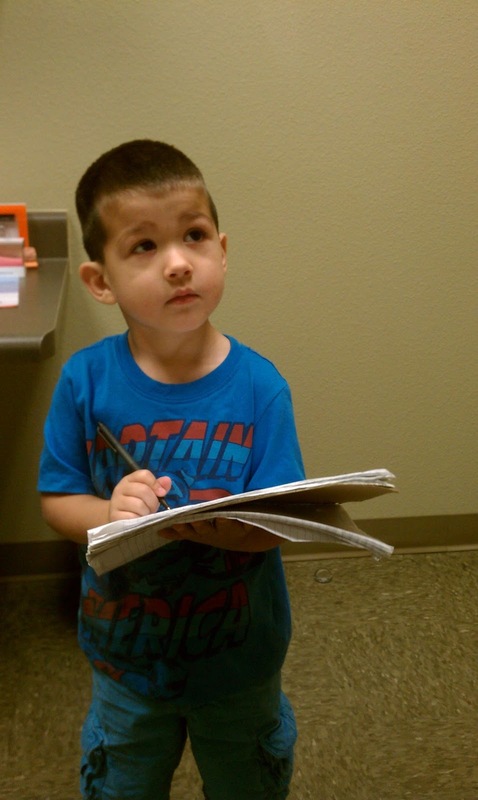 August 23,2016 I went into the Endocrinologist office to hear my test results. Sweet enough Logan, my boyfriend came with me for moral support. The doctor explained that while my previous biopsies had come back negative or inconclusive. This test had come back both indeterminate and suspicious. This was after my last biopsy, August 2016. I brushed it off and was oh ok I am fine then. The doctor felt differently. She advised me to meet with an ENT Dr. to go over the very strong possibility that I would need surgery. I walked out of the office feeling relieved but still confused. Should I go through with a surgery or just wait and get retested in a few months. Those that knew what was going on around me told me to at least go meet with a few different surgeons, so I did. The first one, a general surgeon was warm and kind. He didn't do this exact surgery too much but was confident that he could do the procedure. The second Dr, an actually Otolaryngologist or ENT practicing physician I wanted to meet with was beyond booked out for the next 2 months. I was put on their cancellation waiting list for an appointment. Some how I got lucky and in late September I went in for my surgical consultation. He too mentioned I could wait a few months, re-monitor the nodule and see if anything changes. That however could also mean that if it is cancerous, the extended time it stays in my body is a chance for it to grow and spread. 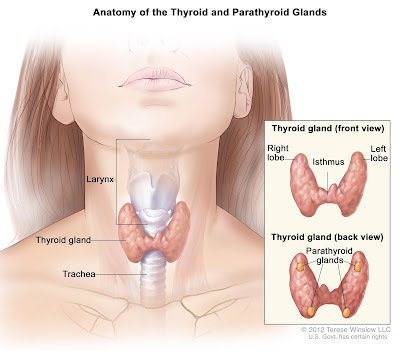 While Thyroid cancer is typically a slow growing and not likely to spread type of cancer. I am not sure that now with a suspicious test result I want to live with a maybe cancer in my body. Plus the nodule was about 3 centimeters at this point. My ENT comforted me by saying he does this type of surgery on a very regular basis. That he would go forth with the surgery being a lobectomy, removing half of the thyroid gland (the most frequent way to remove a nodule) with the possibility of a full thyroidectomy. They would test the nodule while I am still on the operating table for cancer. If it is negative they will close me up and call it a day and send the sample out for a full pathology report. If it is positive they will go ahead and remove the whole thyroid right then. Either way doing this procedure would require me to make a lifetime commitment to thyroid treatment along with all the regular risks of surgery. He did mention with since the thyroid is up against the vocal cords that I may experience a slight change in my voice or increased raspiness. Honestly I am not terribly worried about this. I told him I am not a very good singer to begin with so if anything it would help the situation. September 2016 -- Today I scheduled my surgery. Which was an inevitable task but the nerves are still weighing in me a little bit. Plus a couple other personal situations that are on my mind have me trying to be strong and move on with my day like normal. But I feel that one little thing could set me off on a crying fest. I ended up meeting with a second doctor for another surgeons opinion and to see who felt more qualified to cut my throat open. He was very dry and to the point. He would ask me if I knew what something meant. Then when I tried to explain what I felt like I knew he would cut me off by telling me the correct terminology and medical truth. So his bed side manner was not the best. But he comes highly recommended. It is Sunday, 2 days before my surgery when I and writing this part of the article and I am getting antsy! At this point all of the grocery shopping and house cleaning has been done. Now to catch up on a bit of blogging work so I won't have it on my mind after the surgery on Tuesday. I am extremely grateful to have Logan here to comfort me. His mom is coming to stay with us for the first few days to help us out. My family back home in New York is praying for me and I feel like the luckiest girl in the world to have this much support. I am sure there are a million things I am forgetting to mention or elaborate on so PLEASE feel free to comment below or email me directly. Speaking of emails, I appreciate all of the concerning and supportive emails I have received from you all over the years. This is my first time really going into detail about what I have been dealing with but some of you knew just from watching my videos. I truly am blessed to have you all looking out for me!!! If you have gone through this I would love to here you story or tips to feeling back to normal afterwards. I will keep you updated on social media about my surgery and will come back maybe in a month or so with a follow up blog post. <3 <3 !! UPDATE: Surgery went well. I am currently hanging out in my recovery room. I did end up having to have my whole thyroid taken out because the nodule tested positive for papillary cancer. I'm not even sure exactly what that means or what further treatment I will need. All I know is burping used to be funny and it is not funny right now lol ! In quite a bit of pain but I have an ice pack on and reading all of your encouraging comments are honestly helping me get through the night. I will update you all in a video as soon as I am able to talk. My voice is weak and I just sound like I have a really bad cold. Which I'm sure Logan is getting a kick out of me not talking his ears off for once ;-) I am staying positive and trying to keep a smile on my face. After all I am not the only one out there who has ever had to deal with this nor is it something I can change. Again thank you all for the support. Will update more soon. Beautifully written. Love you ALWAYS! If power Doppler flow image indicated blood flow in the solid part, cancer is likely to be suspected. How is your voice after surgery? Are you going to have RAI treatment?